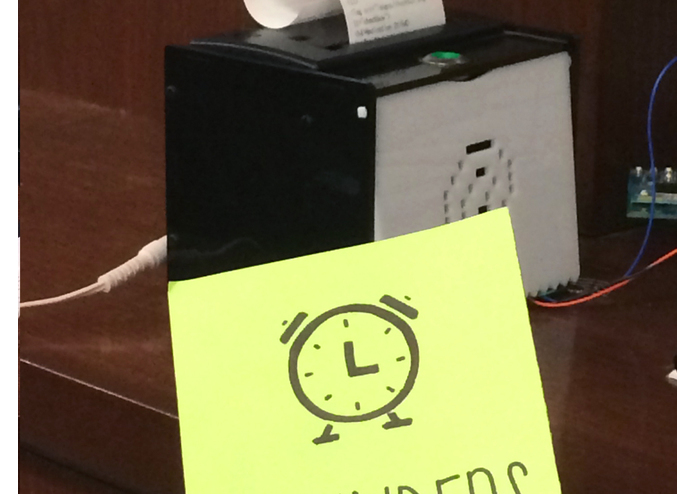 Modern technology is still a challenge for the elderly and those who suffer from disabilities that interfere with their ability to interact with the digital world. 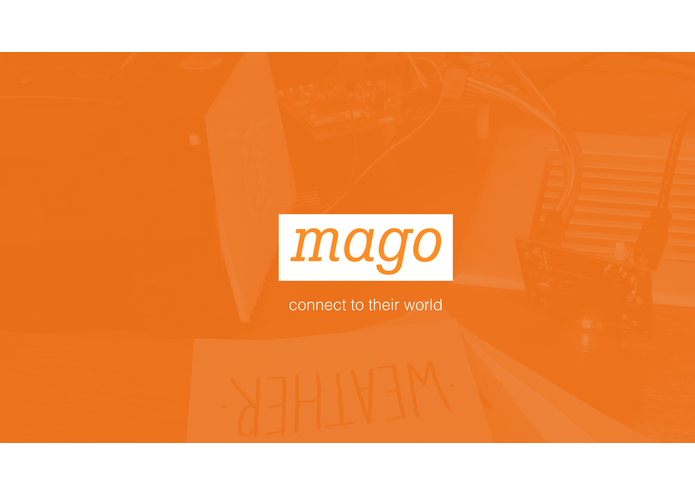 Mago, a unique system, allows users to interact with the digital world without a digital interface. 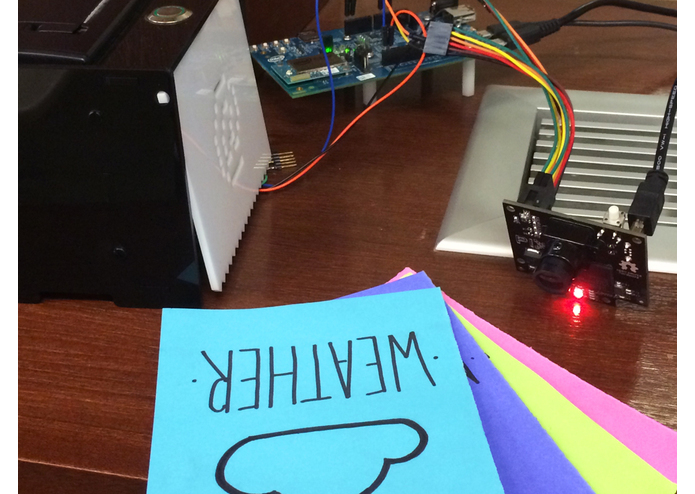 Mago allows users to view information in a medium they are comfortable with, paper. This creates a comfortable experience for the non tech savvy users. 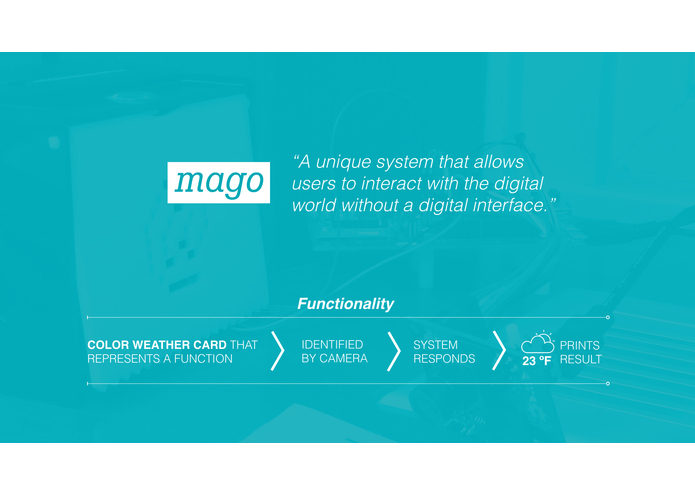 Users interact with Mago through color cards. 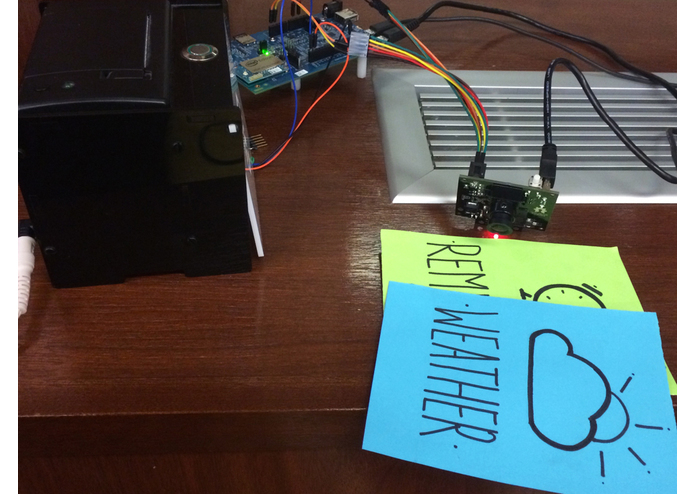 Each card performs a specific action when presented in front of a camera and will print the desired information. 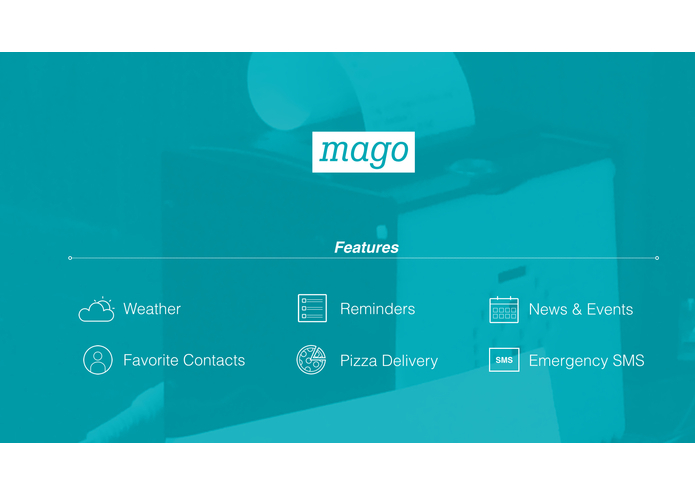 Mago allows you to view the current weather, local news and events, favorite contacts, the day reminders, send an emergency SMS, poke a friend and even order pizza!